This shift dress is giving us oriental vibes. 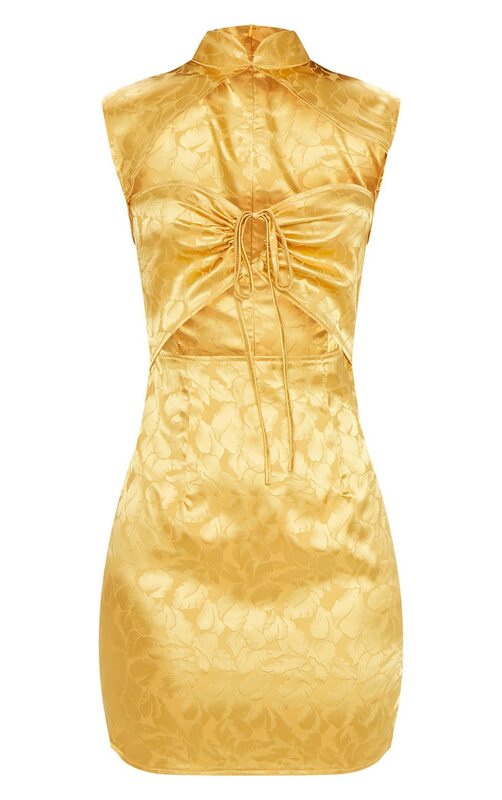 Featuring a mustard floral satin material with a high neckline and cut out design. We love this teamed with gold strap heels and statement earrings for an insta worthy style.